This Baked Avocado and Egg Nest recipe is one that I love to make for breakfast, lunch or dinner. 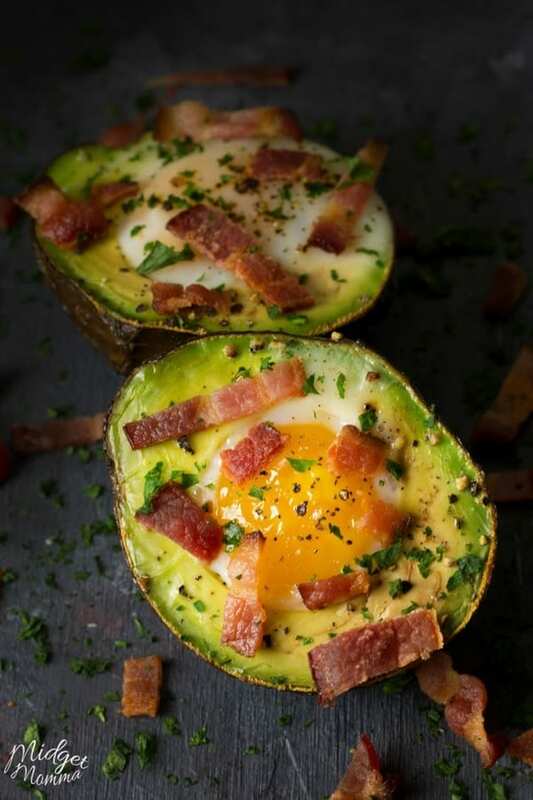 This baked avocado and egg recipe is simple to make and perfect for when you are stuck trying to figure out what to make. The amazing avocado flavors come out once the avocado has been baked. Seriously, there is such an amazing difference between a raw avocado and a baked avocado. 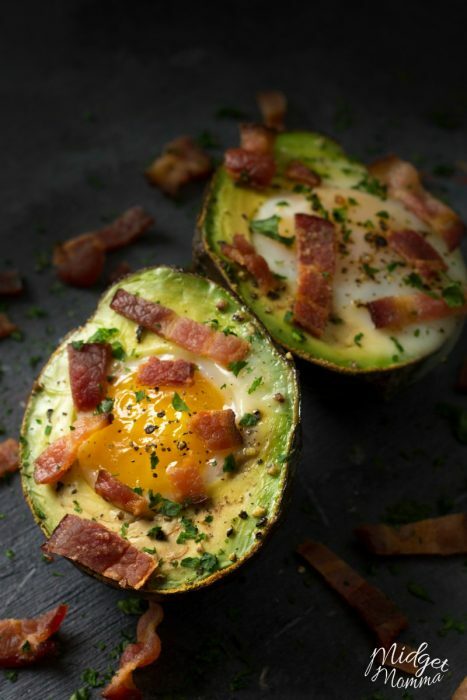 If you are looking for a simple keto breakfast idea, this baked egg and avocado recipe is for you! 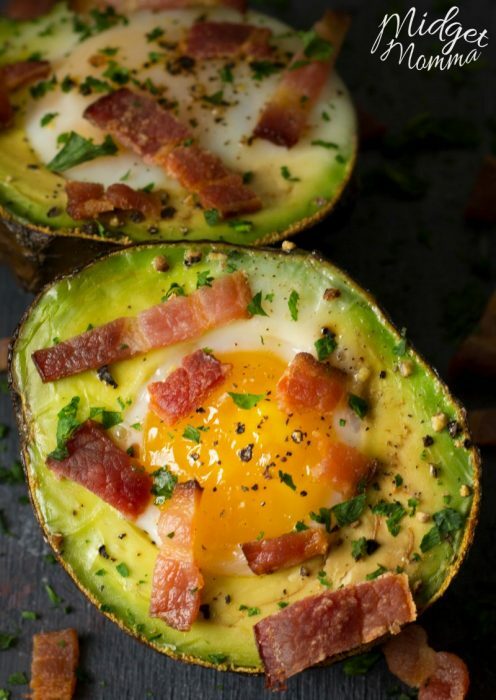 This is one of our go to Keto Avocado Recipes. Then the egg when you cut into it is nice and soft. The flavors might not sound like they mix well, but they mix amazingly. Even the kids and Tom who do not eat Keto enjoy it! They were all actually quite shocked when I told them that they were eating a Keto Friendly recipe when I made this. To make clean up easier, I like to bake each avocado side in a Ramekin, if I am cooking just one serving. If I am making enough for everyone then I use a large baking dish. I also like to make sure that I have bacon cooked ahead of time. In the beginning of the week, I like to make a large batch of bacon that is cooked until right before my desired doneness. Then I can just pop it in the microwave for a few seconds to reheat it and get it to perfection. This Baked Avocado and Egg Nest recipe is one that I love to make for breakfast, lunch or dinner. It has amazing flavors once the avocado has been baked. 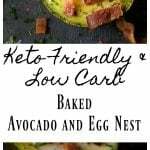 It is also a very simple easy to make Keto Recipe if you are following Keto. Cut the avocado in half and remove the pit. Using a spoon widen the hole of each half so you are removing about a teaspoon of the flesh. 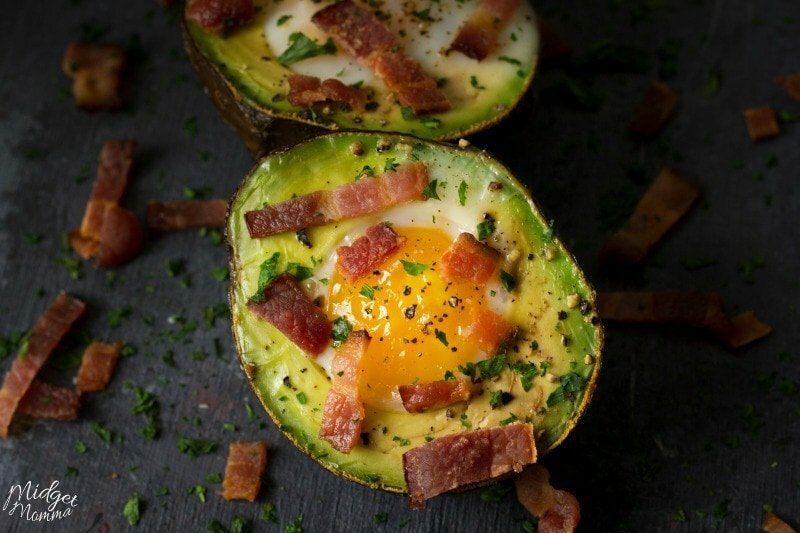 Place your avocados into a baking dish and crack the eggs into each hole, sprinkle with salt and pepper. Bake for 15-20 minutes, or until eggs have reached the desired doneness. Chop your bacon into small pieces and sprinkle on the top of the avocados. Check out more Keto Friendly Recipes that are simple to make and taste amazing! Stuck on lunch ideas? Check out this Keto Lunch List!